LOCATION! LOCATION! LOCATION! 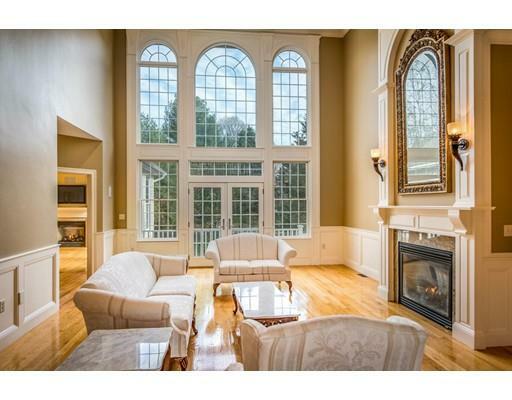 Here is an opportunity to own one of North Andover’s most iconic homes. Situated on over two acres of well manicured grounds is this stunning home exuding charm and character within a minute to the Olde Center. The dream kitchen has two dishwashers, chef’s stove and a fabulous butler’s pantry with wine cooler, mini fridge, and dishwasher. The formal dining room is grand with detailed crown molding and a gorgeous fireplace. The living room, family room and first floor office all have fireplaces and fabulous woodwork detailing. Upstairs you will find lots of bedrooms, many with fireplaces, and five bathrooms. The master bedroom has everything you could want. It is ample and elegant including an attractive fireplace and spacious master bath. There are just too many special features to express. This ‘one of a kind’ home will just take your breath away! ***Extremely rare offering*** Experience the prestige and distinction of this extraordinary one-of-a-kind residence in Lynnfield’s sought after Marbel Hill Estates. Unparalleled luxury living; this elegant and stately 2005 colonial is situated on a quiet cul-de-sac and offers everything you could ask for. From the sun-filled grand foyer with bridal staircase and center fireplace, soaring ceilings and palladium windows, to the stunning chef’s kitchen with top-of-the-line appliances, sun lit breakfast pavilion, resplendent master bedroom with endless walk-in-closets, Jacuzzi, steam shower, and his-and-hers vanities; Gunite in-ground pool, heated garage, library, media room, play room, fitness room, walk-out finished basement with possible In-Law/Au Pair suite and so much more. Architecturally significant Shultz design with unmatched craftsmanship and superior attention to detail; this property is the benchmark for which you judge all others. Not to be missed. The first encounter through WROUGHT IRON GATES offers UNCOMPROMISED PRIVACY leading you to this CONTEMPORARY OAISIS sited on 4.84 STUNNING ACRES. MASTERFUL DESIGN & MODERN LUXURY are uniquely embodied in this 4 bedroom, 3.5 bath HILLTOP RETREAT. This ONE OF A KIND DECK HOUSE is replete with post & beam construction, filling the home with UNPARALLELED NATURAL ELEGANCE. The SUN-FILLED, UPDATED KITCHEN is perfect for any & all culinary needs. The spectacular, open TWO-STORY GREAT ROOM serves as the heart of the home & BOASTS A DRAMATIC FIELDSTONE FIREPLACE that soars up to the 2nd level. The home offers a 1st floor guest suite & office, a resplendent upstairs MASTER SUITE with its own study & PRIVATE DECK plus 2 other bedrooms, an additional bathroom & laundry. 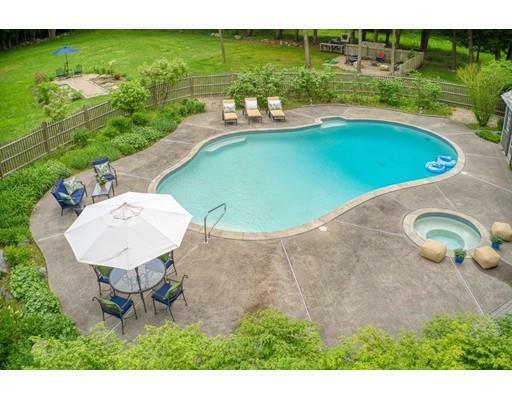 This SECLUDED OUTDOOR RETREAT offers STUNNING LANDSCAPING, a tranquil in-ground pool, tennis court & heated 6 car garage. 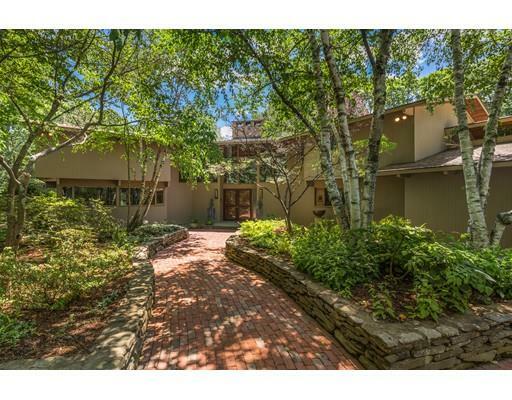 Inside & out, this home offers perfect & unsurpassed entertaining space. Don’t miss this one-of-a-kind home! Welcome to the Leland Estate, a multi-faceted property, situated on 2.35 lush acres containing an elegant residence, a guest cottage, detached au pair suite, in ground pool with charming cabana and over 10,000sf of classic New England-style barns. Build your dream, the lifestyle you’ve always pictured, or create the next chapter of your life, in this one of a kind environment. 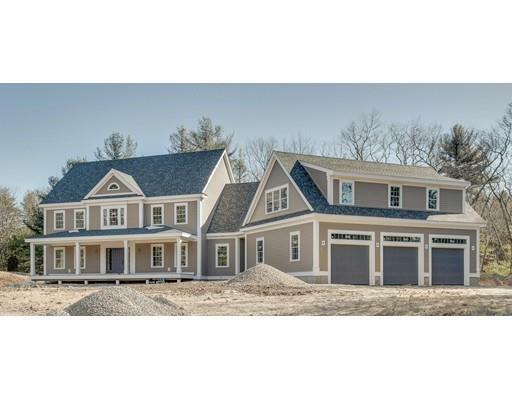 Roughly 25 miles from Boston, this idyllic setting, with open land & across from Lake Cochichewick, evokes elegant country living. This is your reward for the success you’ve achieved, and could be the perfect setting to raise your family, or include your extended family for a multi-generational compound. This estate could be your new modern homestead: dig into urban farming, plant a mini orchard, or realize your own unique passions. The outbuildings afford you the opportunity to conduct your small- or mid-size business, only steps from your home, an amenity the Leland family has enjoyed for over 300 years. ALSO AVAILABLE FOR RENT! FEATURED IN NORTH SHORE MAGAZINE FALL 2015! ALL NEW APPLIANCES DUE TO THE COLUMBIA GAS OUTAGE! The Hannah Fay house boasts Italianate Architecture, and could not be any closer to the Phillip’s Academy’s campus! You have found one of Andover’s finest treasures. 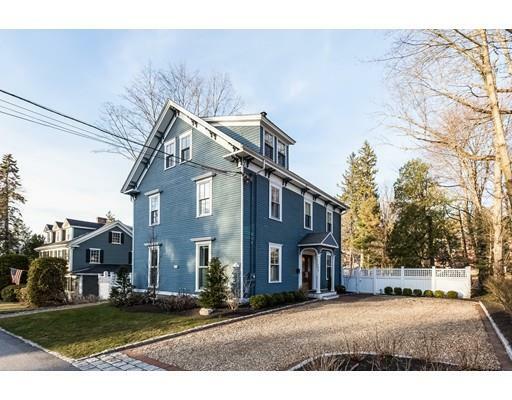 Also featured in Howell Custom Building Group’s ‘Historic Home Renovation’ Article http://howellcustombuild.com/project-before-after-historic-home-renovation/ The owner’s renovation project received a 2015 Silver PRISM award from the Builders and Remodelers Association of Greater Boston. Stunning kitchen with granite counters, Subzero fridge, additional fridge drawers, wine cooler, kitchen island, stainless appliances, oversized built-in microwave, super modern sink appliances and more. Screened Porch with breathtaking views of the yard. Marble master bath with Radiant floors –including the shower! 10 Ft ceilings, reclaimed and stained hardwood floors, completely redone 3rd floor.